Big news coming soon for Gimme5 customers. Flavio Talarico, product manager, has anticipated some of them: ”We will give soon the opportunity to accumulate their savings starting from the very small everyday expenses, going to intercept the rounding of any type of transaction. We will also give the opportunity to supply the Gimme5 account going to insert fintech realities present in the market. Thus giving the opportunity to increase their account using other payment systems”. According to Talarico, “It is an example of how this sector is born to cooperate and not to compete”. 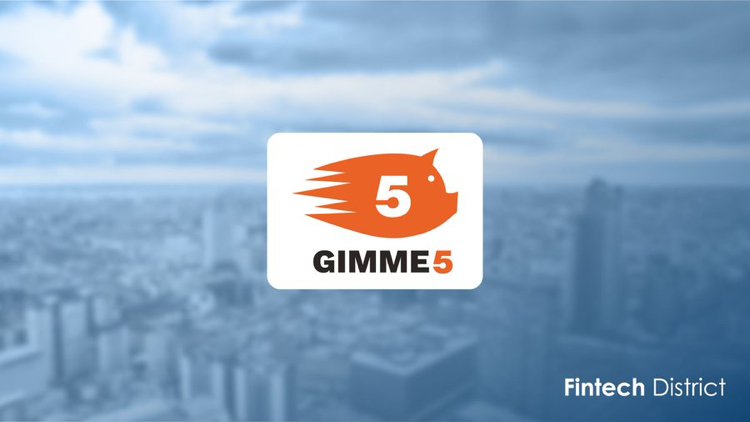 Gimme5 is the digital “piggy bank” that helps people to accumulate small or large amounts of money and make them grow over time. Everyone can set a savings goal and achieve it freely. You can always save money the way you want, set up automatic rules that help you be constant or invite friends and relatives to help you reach your goal. This service constitutes a Business Unit of AcomeA SGR, an Investment Management company founded on July 2010, and joined the Fintech District at the beginning of this year. “Being part of this community offers us the opportunity to share our experience with many young and dynamic realities like ours – explains Talarico – It also offers us the opportunity to be part of the change taking place in our country today and that initiatives like the Fintech District aim to achieve, stimulating cooperation in the sector more than competition”. Gimme5 was created to satisfy the multiple needs of new generations who have low awareness of the opportunity to save and invest through a fintech service. “We want to encourage the creation of a generation of ‘Smart savers’ to allow everyone to access an efficient investment product without entry barriers, through a gradual growth path of their financial awareness”. More than 20K people have started saving and investing with Gimme5, they have invested more than EUR 20 million, over 75% are millenial. Talarico points out that “it is a surprising result in a sector too far from this target and still accessible to a few, at least in Italy”. As a matter of fact, according to him, “the gap to be bridged between Italy and some European Union countries and beyond is still great, but something is moving and the Fintech District demonstrates this. The support of the institutions seems to give new life to the movement, so we are confident that soon we can fill those gaps especially regulatory. A different and longer problem is to fill the big gap in financial literacy that still exists in Italy”.